Widely vaunted as a good edible wild food plant, in my experience this is way below the level I accept for edible plants! It is said to taste of cucumber. 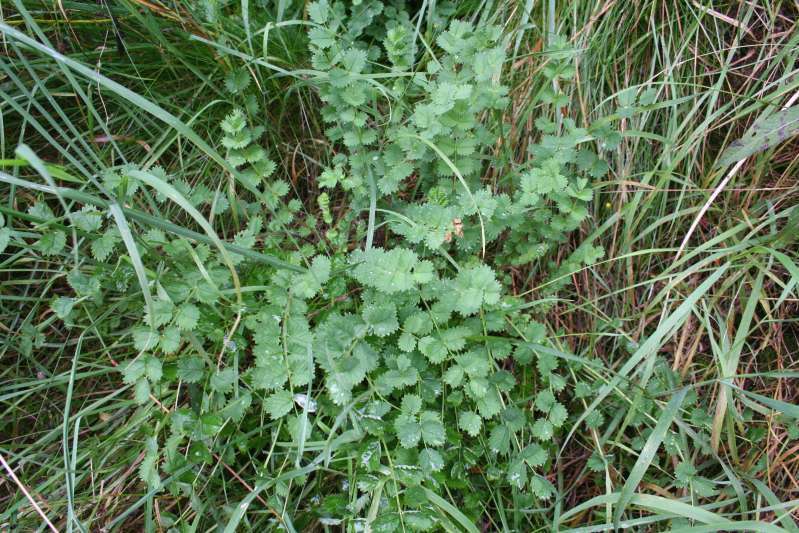 To me, cucumber has not a lot of taste anyway, and I need a very good imagination to say salad burnet has any taste at all! Add to that the fact that the leaves have no pleasant texture - they are dry and quite tough. Several times I have tried nibbling the freshest newest leaves in case I have had bad specimens. If this is edible wild food, then I should give up interest in the subject! Photo taken 20th August 2007.